Missouri State 71, Northern Iowa 58 - 3/13/2016 - Women's College Basketball - Are You Watching This?! MOLINE, Ill. (AP) Tyonna Snow recorded her second straight double-double with 17 points and a career-high 15 rebounds and No. 3 seed Missouri State won its 10th Missouri Valley Conference Tournament in 15 trips with a 71-58 victory over top-seeded Northern Iowa on Sunday to advance to the NCAA Tournament. Missouri State (24-9) won its first title since 2006 - for its 14th appearance in the NCAAs. Snow won the MVP after scoring 52 points and grabbing 34 rebounds in their three tournament wins. Liza Fruendt made three 3-pointers and added 16 points for Missouri State. It was the first time in conference history that a third-seeded team won the championship. Regular-season MVC champion Northern Iowa (22-10) was led by Madison Weekly with 17 points and Sharnae Lamar's 16. They were both named to the all-tournament team. The Panthers made just 3 of 19 from distance and were outrebounded 40-22. Kenzie Williams' 3-point play with 2:51 remaining in the first half extended Missouri State's lead to 35-22. But the Lady Bears did not make their next field goal until the 6:51 mark of the third quarter. They still led 39-31. Northern Iowa closed the first half on a 6-0 run to pull to 35-28. Lexi Hughes hit a 3-pointer from the corner with 22 seconds left in the third quarter for a 51-40 Missouri State lead and Fruendt made an open 3 to extend it to 64-46. 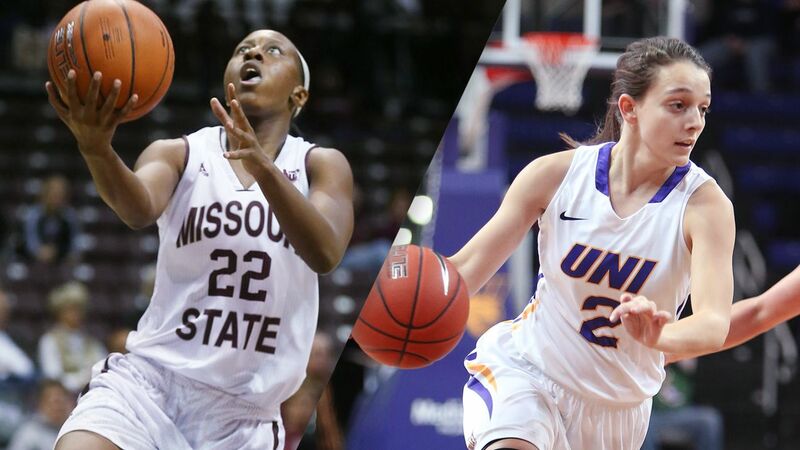 Missouri State: The Lady Bears are 42-19 all-time at the MVC Tournament. ... The two teams split the regular season series with each winning on the road in close games. ... UNI entered on a 10-game win streak, with MSU handing them their last defeat on Feb. 5. Northern Iowa: The last time the two teams met in the MVC Tournament, UNI beat the Lady Bears 69-41 in the 2010-11 championship game for its second straight tournament title. ... UNI won the regular season title with a 61-48 win over Evansville. ... UNI's 15 conference wins ranks second in program history.